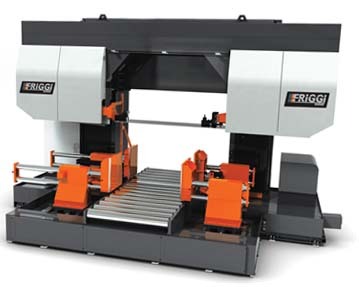 Friggi has always been synonymous of high technology, efficiency and reliability. All our machines are designed for specific applications in synergy with our customers in order to meet every single need and get a low cost per cut. We are present on all continents with an international technical and sales network, we are actively at your side worldwide. By working everyday with the main cutting service centers around the world, our products are constantly updated with the best available cutting technologies. Knowledge of the market and of our customers' needs are the basis of the technological development of our cutting solutions. All of our innovative solutions are the result of decades of experience and field testing. To keep in touch with the company, to get information about our initiatives and innovation you can register to our mailing list. The use of Friggi saws allowed us over the years to be more competitive in the market through efficient and innovative solutions. Produces aluminum billets up to 42" dia and rectangular slabs up to 42" thick. Between pricing, lead time and general communication, Vista Metals was satisfied with the whole package - they (Friggi) really back their product. We are constantly developing innovative technologies in order to obtain high cutting performances. Contact us to learn more. Welcome to our new website. Discover all the new products for steel and aluminum cutting. Always close to the main cutting service centers around the world, our products are constantly updated with the best available cutting technologies.